The Poweriser is a brand new original urban sport. 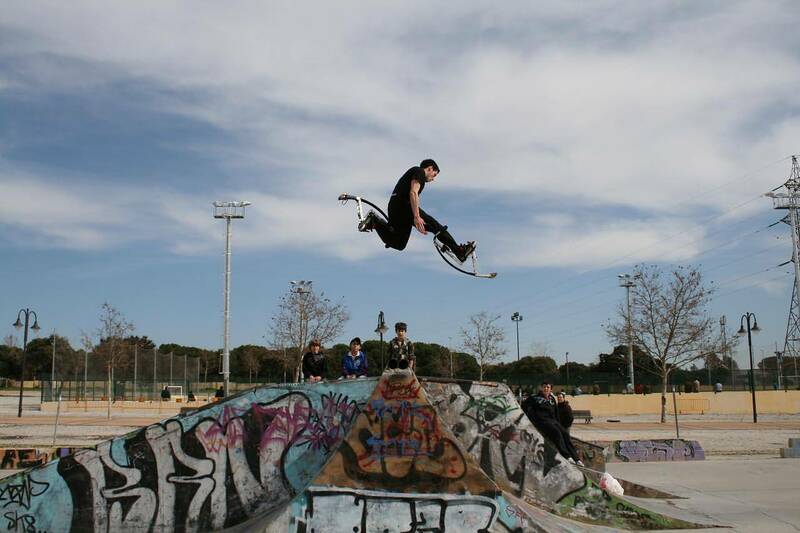 The new kind of stilts are developed by the aerospace industry (the resort and its components were developed by an aviation industry), the Poweriser is a new challenge for all the people who roller blade, skateboard and snowboard and want to discover new extreme sensations. The use of Poweriser by joggers is great to increase their physical condition and endurance. 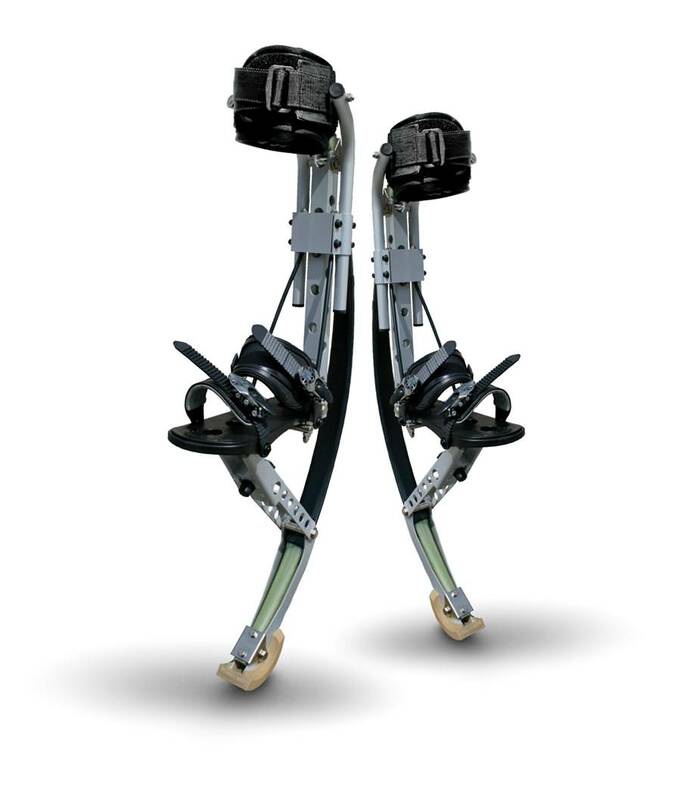 The construction and materials used in the Poweriser stilts are alloy of aluminum and fiberglass, reinforced by a layer of resin. 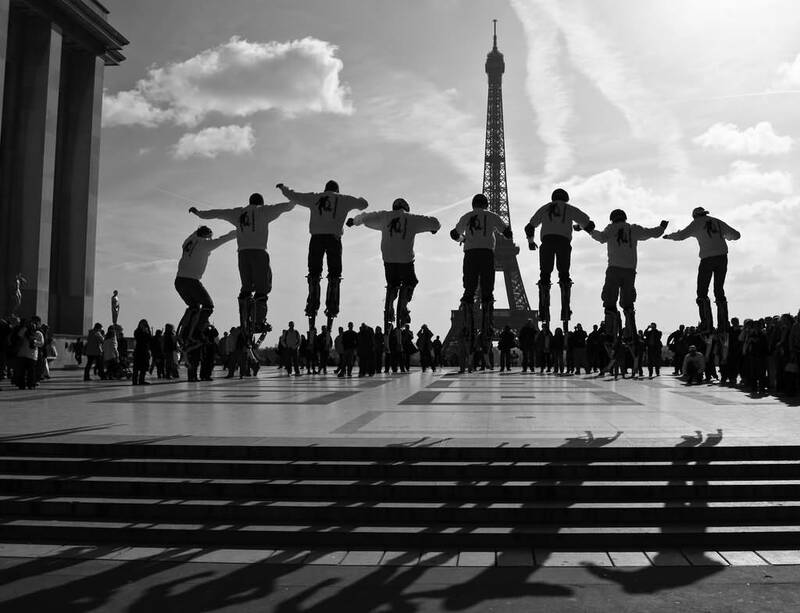 Thanks to the combination of these high-tech materials, you can jump up to 2 meters high and run 3 meters long steps. Do a simple jogging using the Poweriser stilts and make enormous strides to give you a speed higher than that of a 100 metre olympic race! 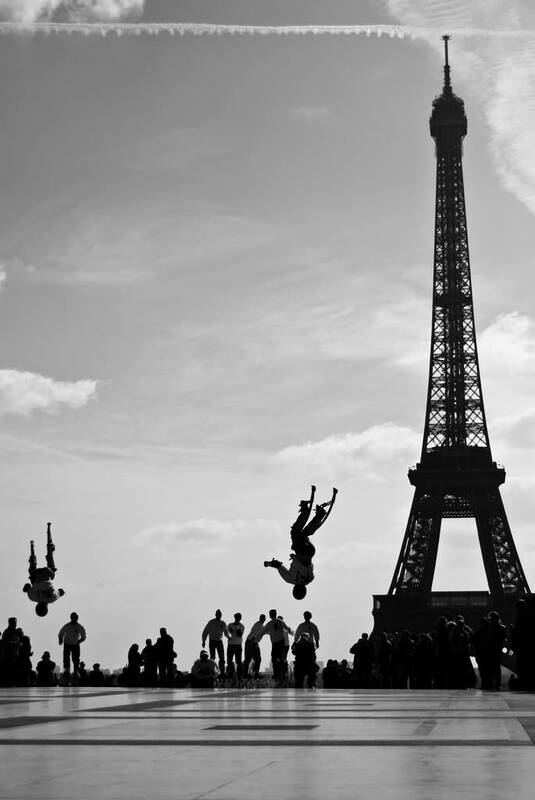 This new extreme sport is for the whole family and will be enjoyed by all extreme sport lovers. Their unique and futuristic design really attracts the attention at every public appearance, not to mention the incomparable entertainment it provides. As with roller blading or skateboarding, Poweriser users are strongly advised to wear protective equipment such as helmets, wrists protection, elbows and knees protectors to prevent all injuries during use. Choose your Poweriser stilts depending on your weight. 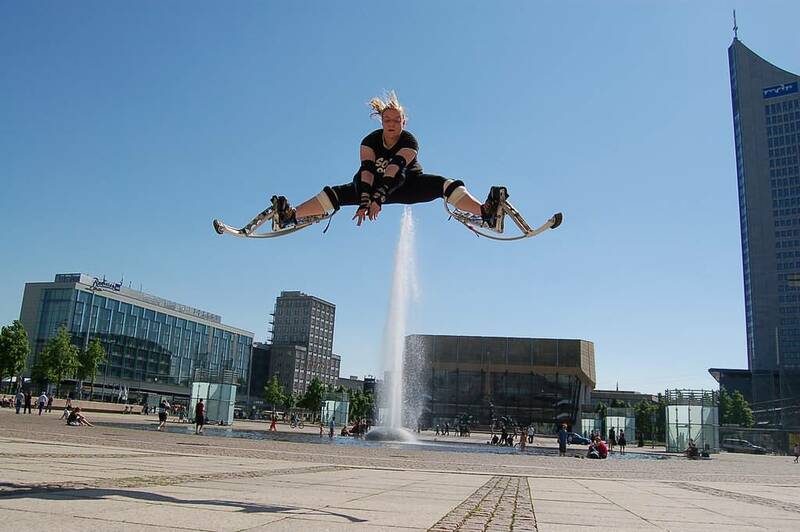 With EasyRiser in Poweriser, urban stilts will allow you to jump 2 meters high and have 3 metres strides very easily! — Thanks to Albert92 for the pictures.